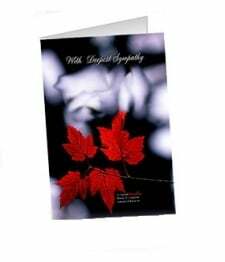 Red and white are traditional favorites for funerals and sympathy arrangements. The red carnations express love while the white chrysanthemums accentuate the message by adding truth and honesty. 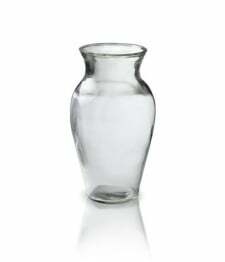 The arrangement as a whole sends sincere feelings of loss and love. 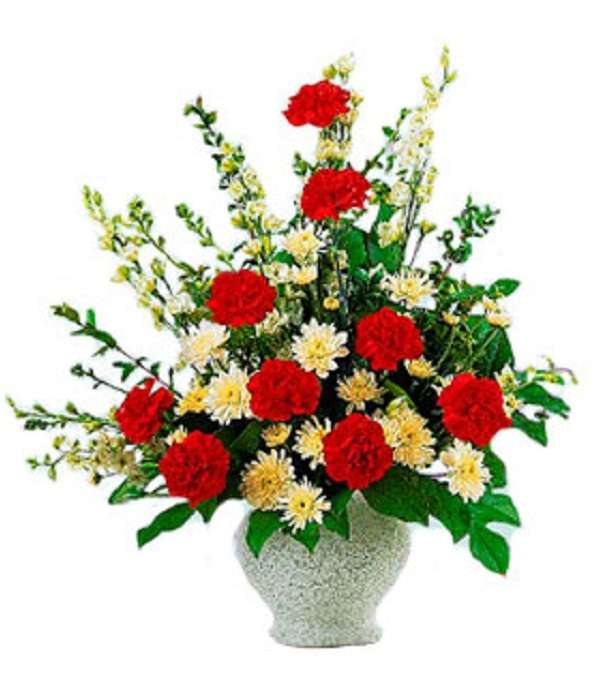 Includes 9 red carnations, 9 red chrysanthemums, 6 white snapdragons and filler greens.